Tons of rumors always suggest people are really excited about an upcoming product, but the rumors sometimes get a bit out of hand. 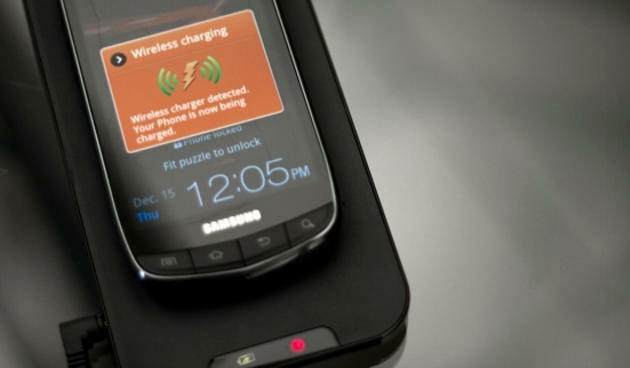 The latest buzz from DDaily suggests that Samsung's going to equip the Galaxy S III with wireless charging. This isn't just any wireless charging tech, mind you, allegedly it's a technology developed by Samsung that allows you to charge the phone from as far as two meters away (6.5 feet). Seems pretty futuristic to us, considering that most "wireless" charging stations require a special battery case and charging mat, but a company named Fulton has already proved it is possible with its eCoupled technology. We're guessing this is going to be an upgrade of sorts for the phone, that is, if this rumor ever does make it to fruition. The Galaxy S III is expected to offer a 1.5GHz quad-core Samsung Exynos processor, a 1080p display, a ceramic body and support for 4G LTE networks. Samsung recently denied reports that the device will be unveiled during April, so we're hoping for a late spring or early summer announcement at this point.